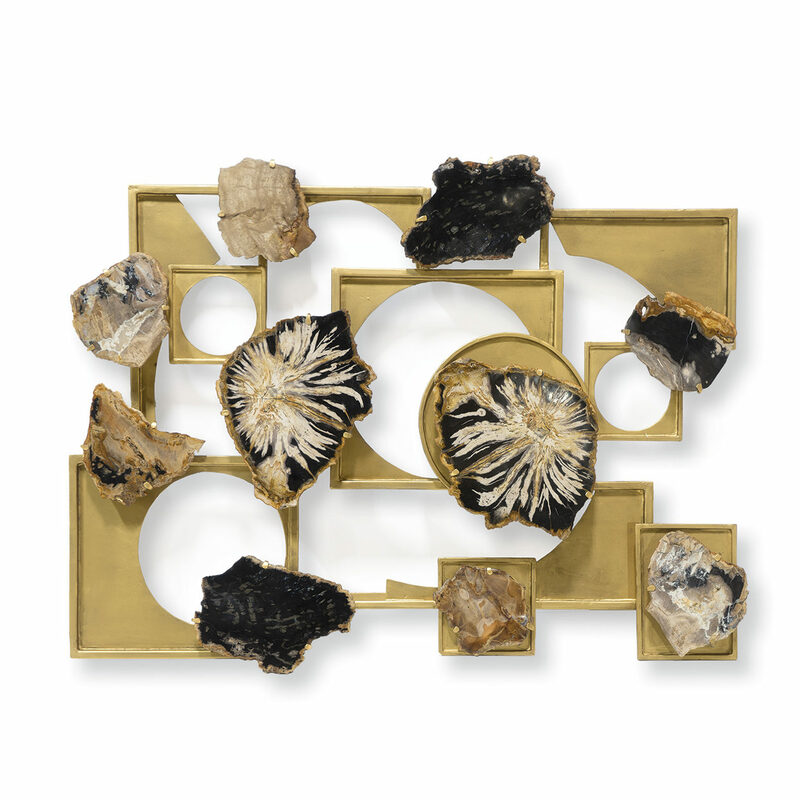 Natural petrified wood slices hand-cut and polished on a metal frame in an antique gold finish. 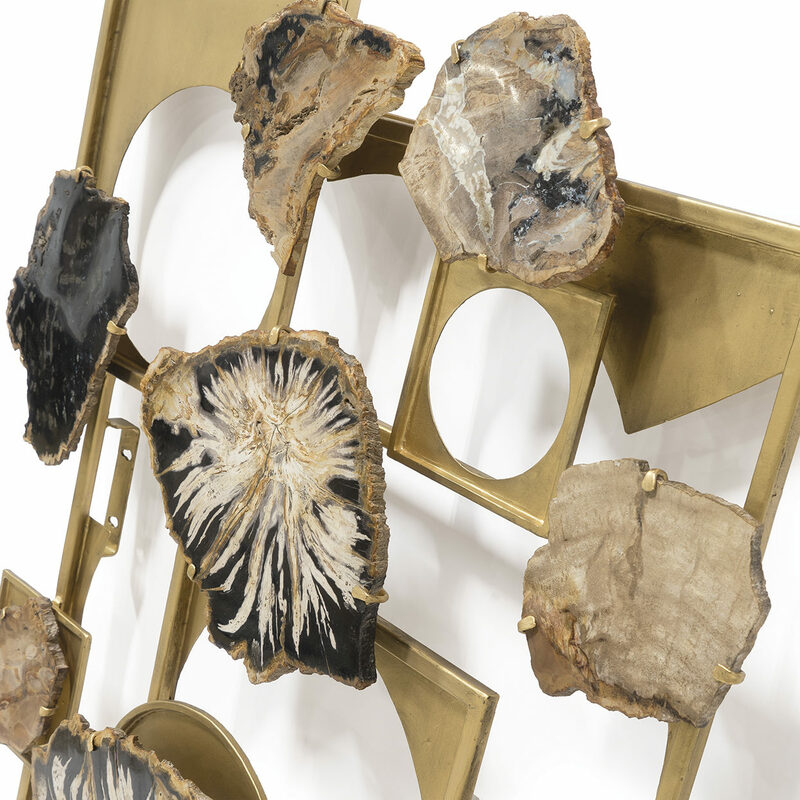 Petrified wood is natural and will vary in color , size and shape. No two pieces will be alike. Wall decor comes with metal hanger for mounting both vertically and horizontally.